When A. found out that her good friend AC would be moving to the east coast to take an amazing new job and be closer to family, she was devastated- but was determined to send AC off with a little piece of Chicago with her! Using cardstock and a heart punch, A. created a unique Chicago flag. She printed a sketch of the iconic Chicago skyline she found online. 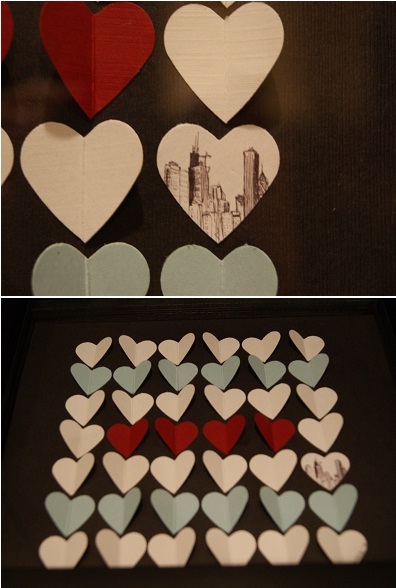 A. folded the hearts vertically to create a little dimension. 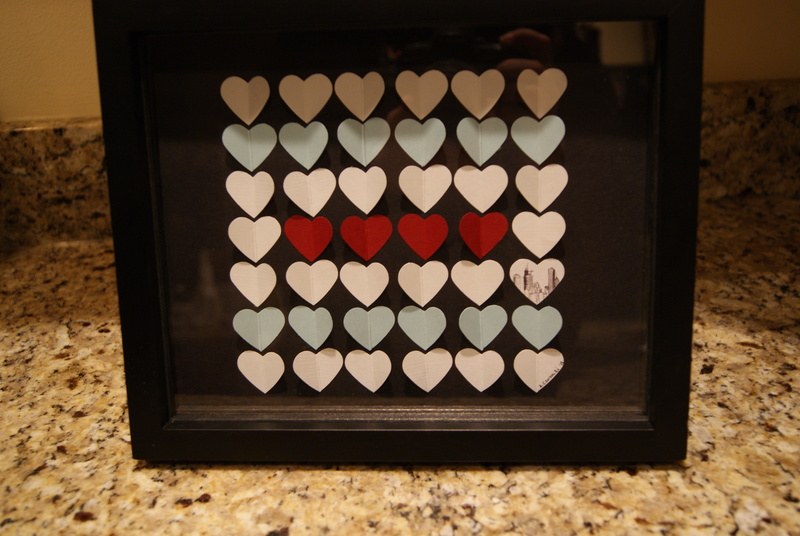 A. glued the hearts in the pattern of the flag in a black shadowbox to make the hearts pop! The finished product was perfect and hopefully will show AC’s new colleagues that there will always be a little Chicago in her heart! ← A Little Pink Pop for a Special Birthday!